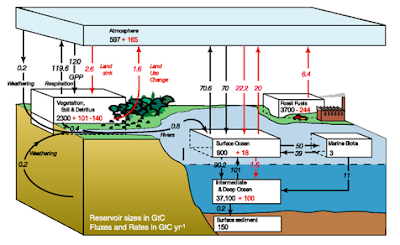 Every time the GWP (Global Warming Plateau) is mentioned, the shrill alarmists try to deny that the plateau exists. 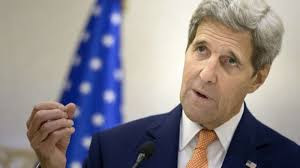 "There certainly has not been a hiatus in global warming — global warming hasn't stopped, even though you still hear those contrarian talking points." Why, if the plateau didn't exist, would the Shrill need to come up with 66 different excuses to explain the cause of the temperature plateau? 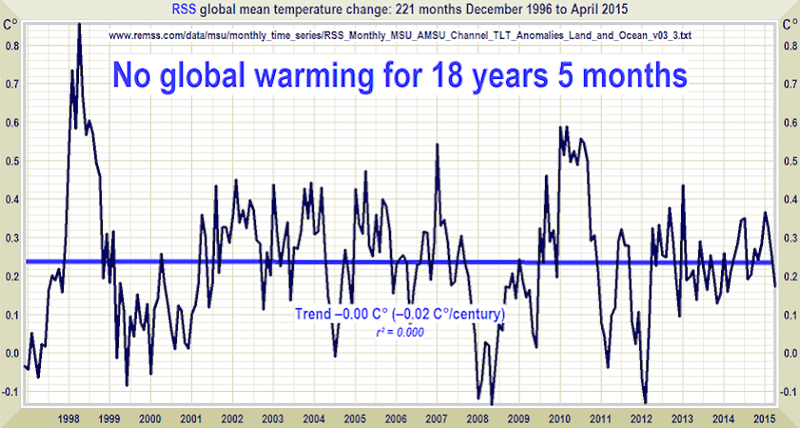 temperature anomaly dataset shows no global warming for 18 years 5 months since December 1996. The hiatus period of 18 years 5 months, or 221 months, is the farthest back one can go in the RSS satellite temperature record and still show a sub-zero trend. 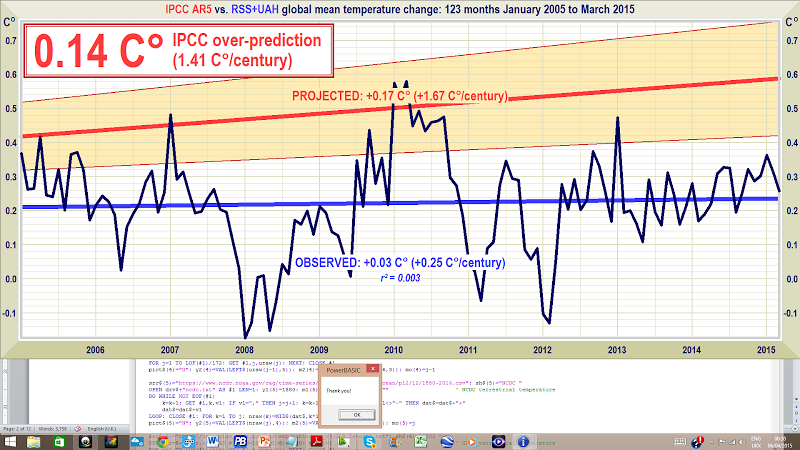 The divergence between the models’ predictions in 2005 (below), - the observed outturn continues to widen. 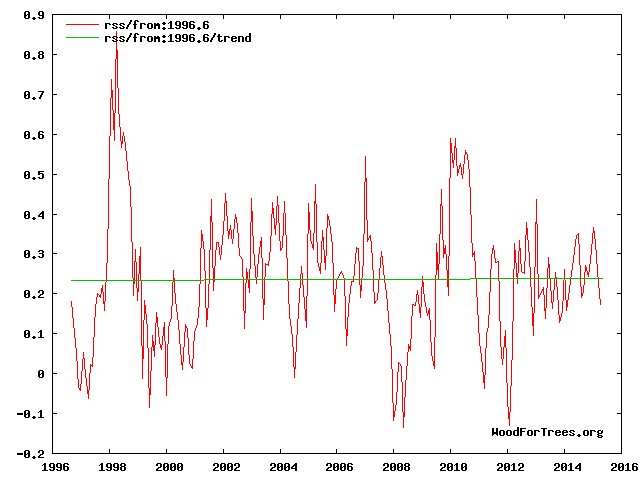 The RSS satellite dataset shows no global warming at all for 221 months from December 1996 to April 2015 – more than half the 436-month satellite record. The fastest warming rate lasting 15 years or more since 1950 occurred over the 33 years from 1974 to 2006. It was equivalent to 2.0 Cº per century. The IPCC’s predicted 4.8 Cº warming by 2100 is well over twice the greatest rate of warming lasting more than 15 years that has been measured since 1950. The oceans, according to the 3600+ ARGO bathythermograph buoys, are warming at a rate equivalent to just 0.02 Cº per decade, or 0.23 Cº per century. 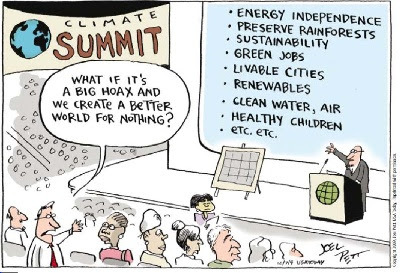 Recent extreme weather cannot be blamed on global warming, because there has not been any global warming to speak of. It is as simple as that.